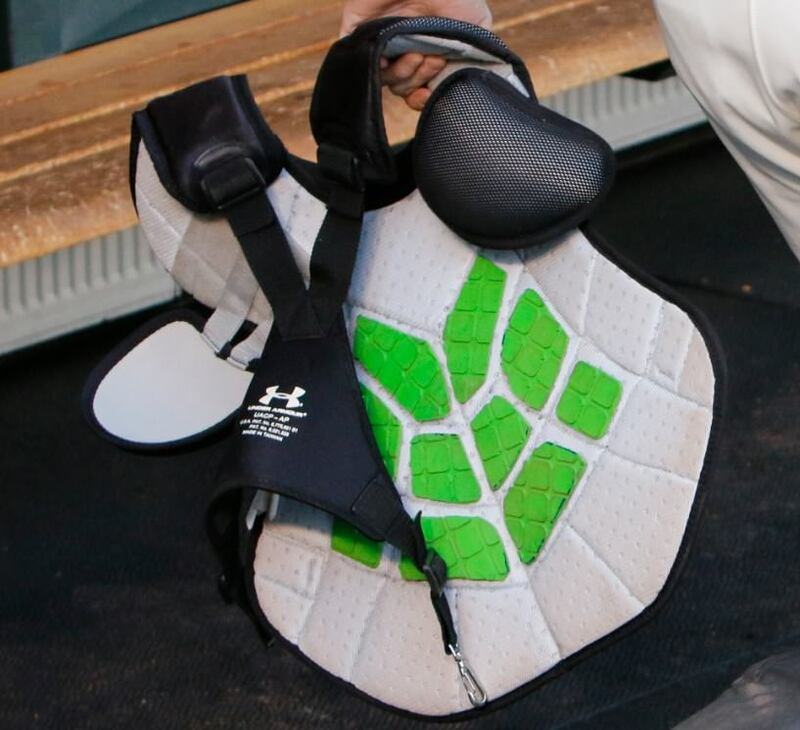 We were able to get a good look at the back of Posey’s chest protector to find that his model is the UACP-AP, a chest protector that is available at the link. 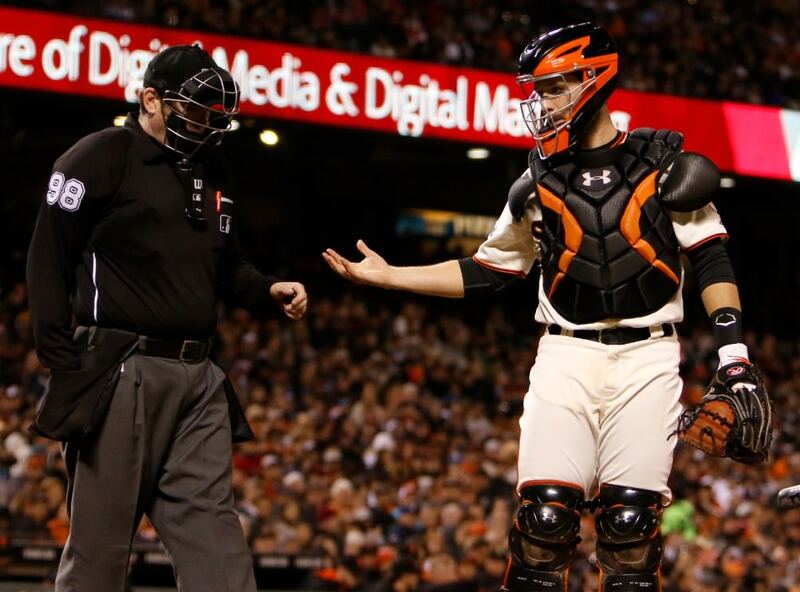 Posey has trusted in this chest protector for his entire career, however, there is a little more to it than just the standard UA model. In the photo you can see some green material, called Unequal Tech, which is a composite material with Kevlar and other materials that is designed to lessen impact. It is being used by several Big Leaguers, and you can read more about that here. Categories: Gear, San Francisco Giants, Catcher, Catcher's Gear, Chest Protector, Buster Posey.